GlossyBox has rolled around already - these months are going way too fast for me to keep track. 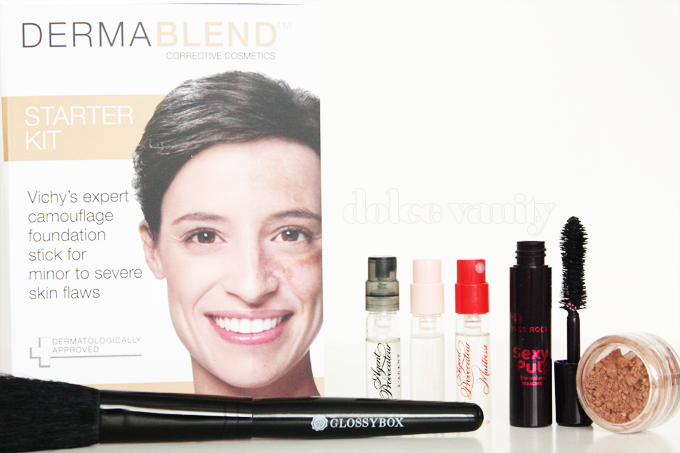 Are Glossybox venturing into a range of professional beauty brushes!? It may seem so. 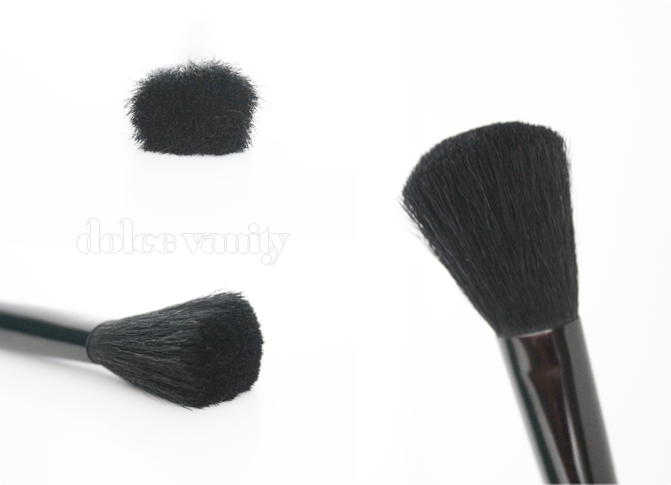 Made of goats hair this blush brush is some what soft. I think I'm going to wash it first - get any shedding that may occur out the way, it's soft but not 'super' soft in my opinion. A mini mascara with a large brush, I quite like this large head but while it coats more lashes at once I wouldn't agree it gives a 'pumping' result. It doesn't look any different to any other mascara on my lashes than the ones I already have. In the two days I have worn it, I've not had any flaking so it holds up well maybe the 12hr claim is correct. 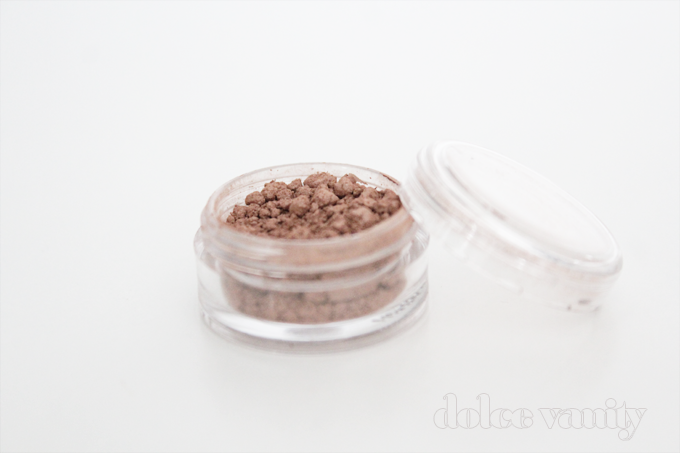 Blends in well with only a small amount and gives a nice deep healthy bronze look. You can easily build up the depth of colour. 3 samples of Agent Provocateur perfumes. Pink & Black scents seem a little musky to me but the Red for some reason reminds me of cherries, a lot sweeter and it would be the only one I would put my money down for. When I was going through my GCSEs I broke out in rashes on my legs of all places - horrible, left me feeling very insecure. A friend of mine at the time recommended I got Dermablend as her Aunt had the exact same problem as me a doctor prescribed it to her this was 8 years ago - Dermablend is EXCELLENT so was real glad to see this in the box - sample or not. 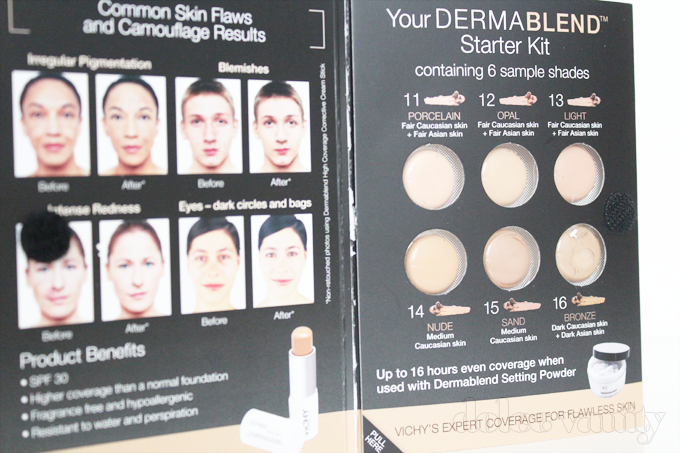 Coverage is fantastic not just for the face. What did you get in your box and did you like it ? If your not signed up to Glossybox you can do so here!